Lovers of these elegant dogs will adore the pictures contained within this slim calendar. Each month throughout 2018 you will find gorgeous images of Black Labrador Retrievers, along with spacious date lists for all your commitments. Includes a free download of the DogDays app for the smartphone and tablet, which grants access to the worlds most captivating dog photos and backgrounds, fun puzzles, and a calendar featuring your favorite furry friends. This entry was posted in Calendar Showcase, Dog Breed on January 24, 2018 by dogdaysapp. The Cavalier King Charles Spaniel possesses quite a sunny disposition, which has made it one of the most popular dogs in England. Outgoing and sprightly, it is also an elegant and graceful dog that adores children. Loveable, long-eared Cavalier King Charles Spaniels are charming as can be in this splendid slim wall calendar. Includes a free download of the DogDays app for the smartphone and tablet, which grants access to the worlds most captivating dog photos and backgrounds, fun puzzles, and a calendar featuring your favorite furry friends. This entry was posted in Calendar Showcase, Dog Breed on January 23, 2018 by dogdaysapp. Low to the ground and long in body, the Dachshund is a friendly, personable dog. Dachshund translated literally from the German means badger dog. With its elongated body and short legs, this spunky dog is very intelligent and loves to unearth underground critters, including badgers. If you dig Dachshunds, you’re sure to enjoy this delightful slim calendar. Includes a free download of the DogDays app for the smartphone and tablet, which grants access to the world’s most captivating dog photos and backgrounds, fun puzzles, and a calendar featuring your favourite furry friends. This entry was posted in Calendar Showcase, Dog Breed on January 22, 2018 by dogdaysapp. Staffy lovers will delight in the pictures contained in this slim calendar for 2018! The cutest Staffordshire Bull Terriers can be found monthly, along with spacious date lists for all your daily commitments. Includes a free download of the DogDays app for the smartphone and tablet, which grants access to the world’s most captivating dog photos and backgrounds, fun puzzles, and a calendar featuring your favourite furry friends. This entry was posted in Calendar Showcase, Dog Breed on January 21, 2018 by dogdaysapp. SYNERGY IS EFFECTIVENESS. IT IS TEAMWORK. Teams come in all shapes and sizes, with varying levels of function, focus, and fun. At BrownTrout, we work hard, and then we like to play hard. We believe that’s what good teams do. We focus every day on creating, selling, and distributing awesome products, knowing that we need each other for our unique functions and contributions. Whether a long-timer or shortterm employee, we value each BrownTrouter for what they individually bring. Stephen Covey says, “Valuing the differences is the essence of synergy.” We believe that unique individuals make the best team. Our value for each other keeps us focused on the value of our customers as well. We also make time to celebrate each other. Every month, we celebrate something about someone, like a birthday, anniversary, or new baby. And since we know our holidays, we make it a priority to enjoy them all year long, especially our Annual Halloween Runway Contest, where sometimes our calendars come to life through costumes, props, and makeup. Imagine live Emoji’s, Yoga Dogs, John Wayne, or assorted wild animals! STAY THE COURSE. TRUST ONE ANOTHER. COLLABORATE EFFECTIVELY. Our 2019 season brought us the FranklinCovey® licensing partnership, where we have embraced some of the teachings of Stephen Covey. Through creating and producing The 7 Habits of Highly Effective People® calendars and designing a new line of FranklinCovey-branded planners, we’ve learned that those who stay the course, trust, and transparently collaborate are the most effective. And at BrownTrout, we strive for this continuously. We are a team made up of diverse individuals who come together effectively to create and distribute consumer-focused and passion-driven products. And we always have fun, too. This entry was posted in Press Release, Promotions on January 21, 2018 by dogdaysapp. Deserving of the title Noble with Natural Beauty, the German Shepherd is courageous, devoted, and dignified. These extraordinarily trainable and highly intelligent dogs make loyal and protective companions. They’re happy to go where their friends go, whether its out on a hike, out on the lake, or out on a drive. Celebrate this distinguished breed with this wonderful German Shepherds slim wall calendar. Includes a free download of the DogDays app for the smartphone and tablet, which grants access to the worlds most captivating dog photos and backgrounds, fun puzzles, and a calendar featuring your favorite furry friends. 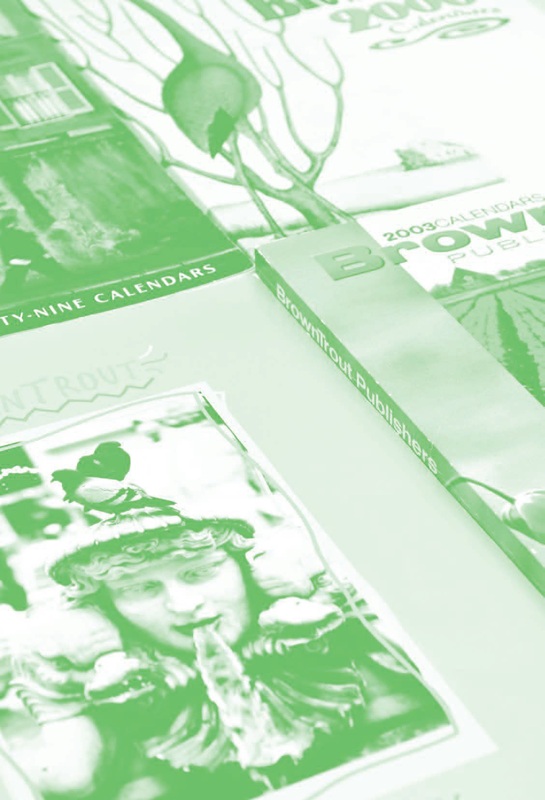 BrownTrout Publishers, Inc. is the largest calendar publisher in the world, and the only major publisher that is still independent. We produce over 1,200 titles and print more than 13 million calendars annually for a worldwide market. But we didn’t start this big. 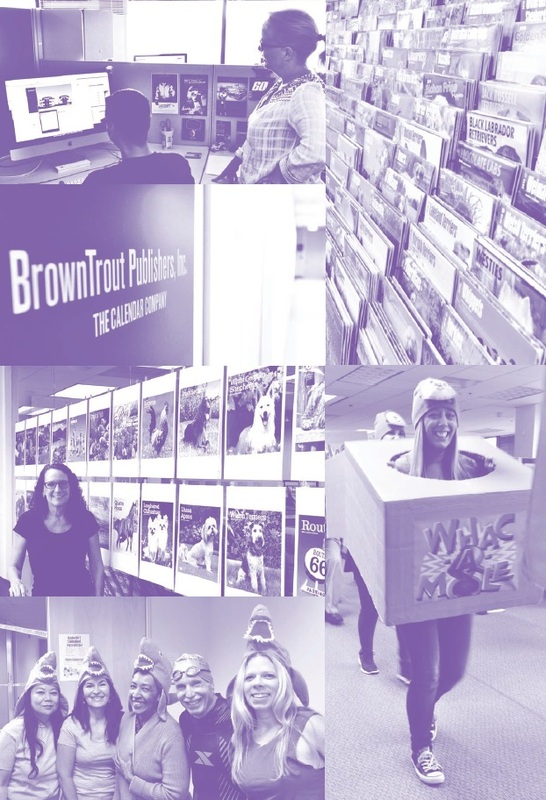 BrownTrout was founded in 1986, in Salt Lake City, by today’s CEO Mike Brown, along with his brother Marc Brown and sister-in-law Wendover Brown, with just three published calendar titles and 10,000 printed calendars. It wasn’t long before we began to publish wildlife, dog, cat, and horse breed calendars. The nineties saw big growth for BrownTrout, as our corporate headquarters moved to San Mateo, California, and sales offices opened in Redondo Beach. Our distribution center in Vacaville opened in 1997, right before we won “Vendor of the Year” from Tractor Supply. We began our international expansion in 1999, opening offices around the world. With offices in Canada, Mexico, the United Kingdom, Australia, and the Netherlands, we embraced an international strategy that still allows us to serve our network of local and multinational retailers. In 2000, our first licensed title, Pokemon, sold over 1.2 million units, generating over $15 million for our customers. Our calendar product list exceeded 1,000 titles by 2007, which eventually included the popular Goats in Trees title and the debut of Justin Bieber’s fist calendar with over 630,000 copies sold. With more titles and formats to offer, we began to supply other retailers such as Kmart, Target, and Walmart, as well as warehouse clubs. 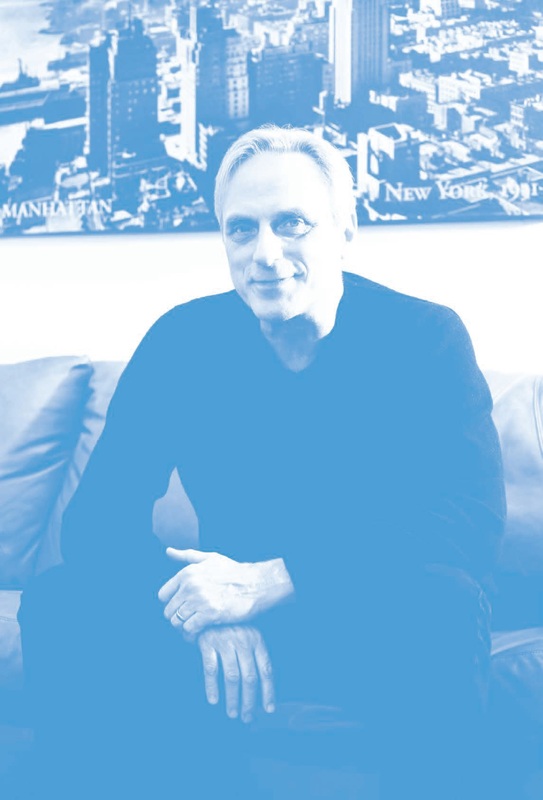 In 2012, we moved our offices from Northern to Southern California, and also acquired Wyman Publishing in Canada. We continued to win numerous Calendar Marketing Association awards and was named “Vendor of the Year” by Calendar Club. BrownTrout continues to grow and take pride in being the leading calendar publishing company in the market. This entry was posted in Press Release, Promotions on January 20, 2018 by dogdaysapp. A small, confident dog, the Pug is one of the worlds oldest breeds. Outgoing and playful, the Pug breed has been referred to as multum in parvo, meaning a lot in a small space! Wonderfully expressive Pug mugs give a whole lot of panache to this charming slim wall calendar. Includes a free download of the DogDays app for the smartphone and tablet, which grants access to the worlds most captivating dog photos and backgrounds, fun puzzles, and a calendar featuring your favorite furry friends. This entry was posted in Calendar Showcase, Dog Breed on January 20, 2018 by dogdaysapp. If you cannot get enough of Westies then this 2018 slim calendar is for you! Adorable West Highland White Terriers will keep you company every month as you organise your dates in the spacious date list. This entry was posted in Calendar Showcase, Dog Breed on January 19, 2018 by dogdaysapp. It is going to be an exciting year at BrownTrout! In addition to creating the largest and most diverse line of calendars in the world, we are also developing and offering an extensive and compelling line of planners for 2019. We believe that dated planners have found their place in our daily lives again, after a few years of digital diary overload. Smartphones and tablets are indeed here to stay, along with privacy concerns. (Need I mention that Siri, Alexa, and other digital assistants are watching over your calendar, too?) But people are also realizing that traditional paper and pen planners are handier than popular digital devices, and hands-down, better tools for planning life events, recording dreams and goals, and managing important to-do lists. As the leader in dated calendars, BrownTrout sought out the best brands to associate with, as we set out to redefine the planner category. We are excited about two new partnerships that will help us make a mark again with planners and other dated products: FranklinCovey® and Pantone™. FranklinCovey is known for its time management system and leadership development training, because it has impacted organizational development around the world, after being made famous by Stephen Covey, in his book, The 7 Habits of Highly Effective People. They have retained brand loyalty through their respected name and worldwide reach, and now we have collaborated with FranklinCovey to launch an entirely new line of planners, (see page 66 of our catalog), for both the executive and design markets, making them more accessible through retail distribution. All of our FranklinCovey Planners reflect the world-renowned FranklinCovey time management system, adapted specifically for the BrownTrout line of planners under the direction of FranklinCovey. the year, and unique graphics will be revealed in our 2019 Pantone Planners. Talk to your sales representative for a sneak peek. Our new line of planners will be of the highest quality, both in construction and content. We have made every effort to ensure that our FranklinCovey- and Pantone-branded planners continue the BrownTrout tradition of high quality and fair price. And I’m sure Siri, Alexa, and other digital assistants will soon agree! This entry was posted in Press Release, Promotions on January 19, 2018 by dogdaysapp.